CM was in receipt of a letter recently from Union Minister of Chemicals and Fertilizers Ananth Kumar stating that the Union Government under the dynamic leadership of Prime Minister Narendra Modi has taken several measures to provide improved and affordable health care to the citizens of India. In this regard an important decision to regulate the prices of drugs and medical devices was taken in order to substantially reduce the burden on the pockets of the poor patients and their kin. Expectedly, the patients and kins will be getting 50% reduction of cost for CAD cases after this regulation of price by GoI. “This is a huge relief for poor patients suffering from Coronary Artery Diseases (CAD)” Khandu said in his reply through a DO letter to the Union Minister. He assured that the Government of India’s notification will be made available to all concerned for information and wide dissemination. While extending wholehearted support to the central government, CM said that the State Government is committed to monitor the availability and price of stent within Arunachal Pradesh for the benefit of denizens. Meanwhile, Chief Minister has appealed the citizens of the state to avail the regulated benefit provided by the Union Government for CAD cases. 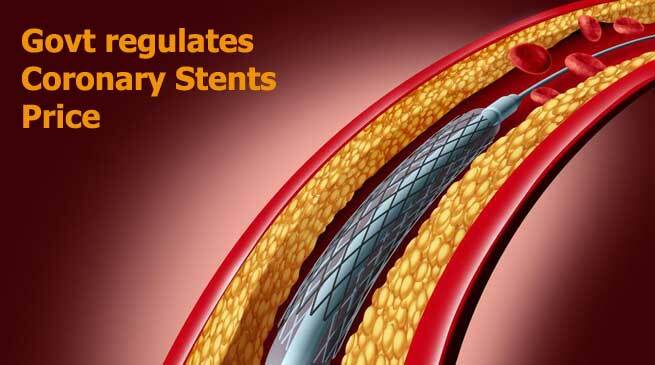 “If any hospital/nursing homes overcharges or provides excuses of non availability of stents, then the matter should be immediately reported or complained to www.nppa.gov.in or call on in NPPA’s helpline number 1800111255” Khandu appealed.